Before Mia and I started at Penshaw we'd had nothing to do with horses. Mia got 3 riding lessons for Christmas and I thought that after 3 lessons out in the cold and getting a bit dirty and smelly she wouldn't want to do it again and that would be end of it. But here we are now, both loving riding together and Mia with her own Pony! 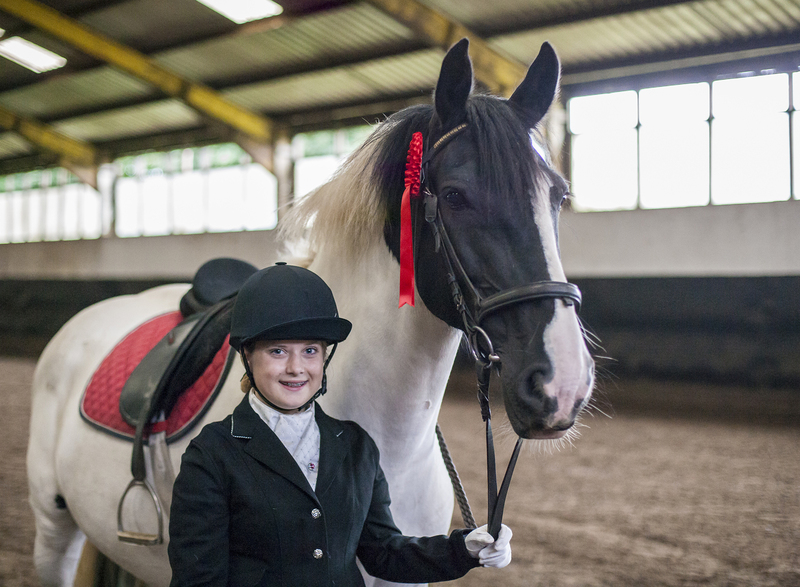 Mia was really enjoying every lesson at Penshaw and got the opportunity to do a really wide range of activities from riding clubs to barrel racing to hacking out, camping over and doing some of the friendly dressage and show jumping competitions. The most important thing for me though is the friends she has made through riding. At the end of the day, kids and young people should be having fun with what they do, and the camaraderie and sheer joy and laughter that riding have brought has been a pleasure to watch. After 8 months of lessons and much begging (!) we decided to buy Mia a pony. We were totally out of our comfort zone and did not have a clue where to start. Penshaw were a great help! I could go to any member of staff and pick their brains and nothing was too much trouble for them. 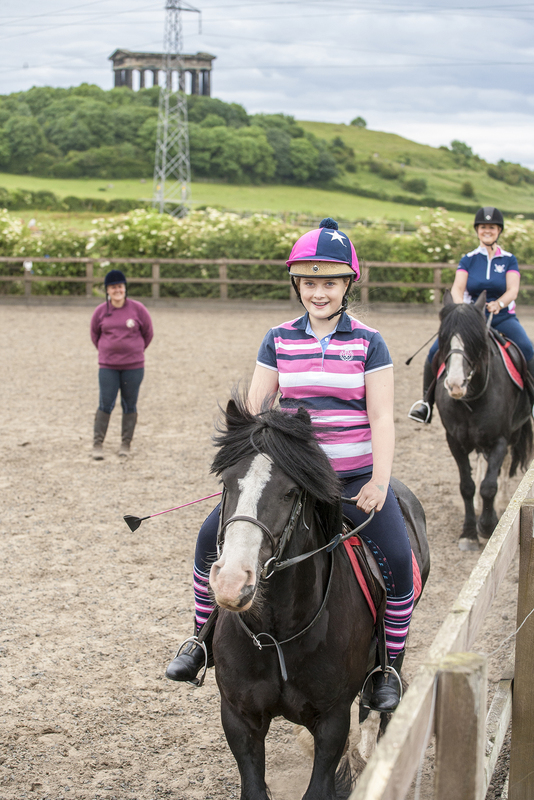 The Penshaw staff helped us with everything; from how to get our pony safely onto the trailer to how to prepare and compete at a showjumping competition. After watching Mia and seeing how much she loved riding I have to admit that I was bitten by the bug a little too and thought I would like to give it a try. So, I jumped in at the deep end and booked myself a lesson and became completely hooked too! For me, each lesson is a small achievement. Realising I am on the correct diagonal and even knowing what a diagonal is is a punch in the air moment! I love being able to talk to other people about horses and understand what they mean too. 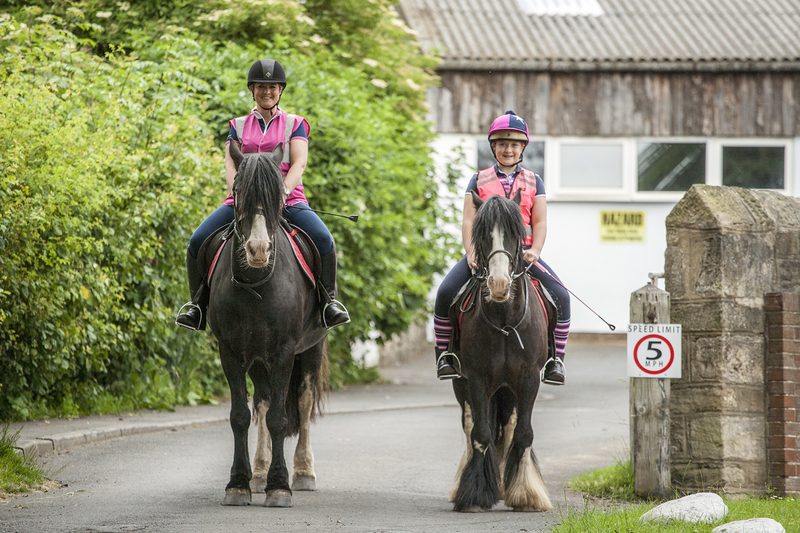 There are lots of other parents there with horse-mad kids - either their own or just for lessons, and it is a lovely environment for everyone to socialise in. There is a even a warm portakabin with hot drinks for us Mams and Dads to hide in on the colder nights!!! Since Mia and I have started riding at Penshaw it has brought us closer together. Our relationship has become so much stronger due to our shared passion for horses and riding. We have our lifelong friends at Penshaw to thank for this! I would recommend everyone to give it a try but it does come with a warning, it is totally addictive and will take over your life. But you’ll love it, especially if you have someone to share it with!